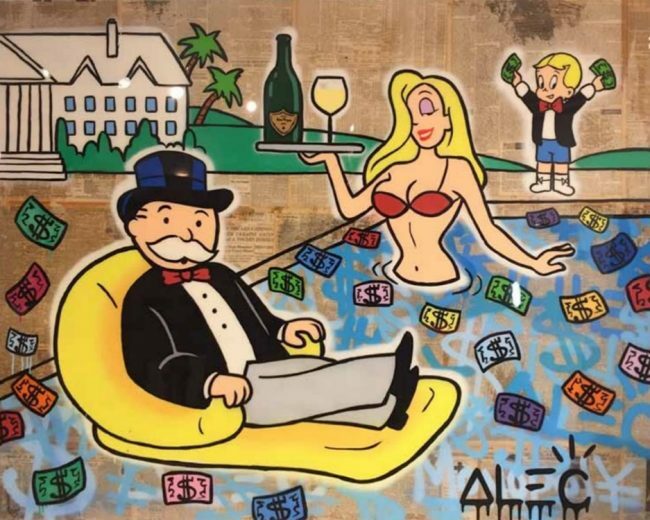 Recently, in collaboration with Guy Hepner Gallery, Alec Monopoly donated his work, Stanley Market, to Onesky, which was auctioned of for HK$380,000. The proceeds help the foundation achieve their goal of helping every kid achieve their dreams. In 2016, OneSky brought life-changing programs to 11,244 children living in orphanages and 5,257 children living in rural villages in China. OneSky also trains caregivers to provide transformative care to vulnerable children. 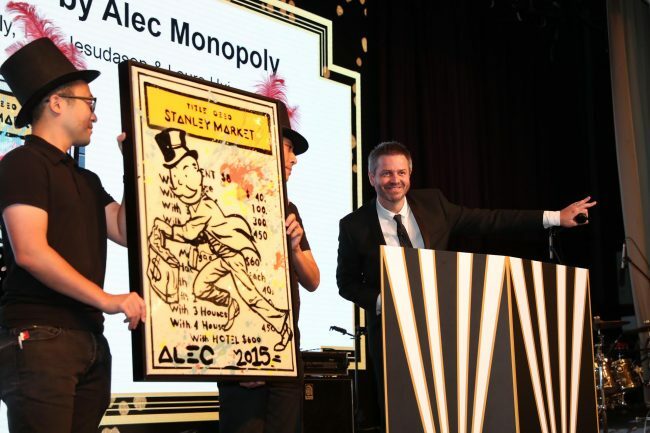 Alec treats his real life as a game of monopoly as well. 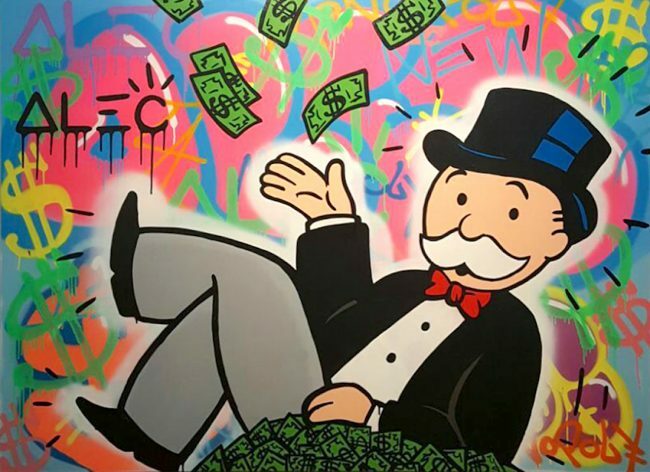 He has been featured in magazines including Huffington Post, Billboard Magazine, The NY Post, and Rolling Stone. 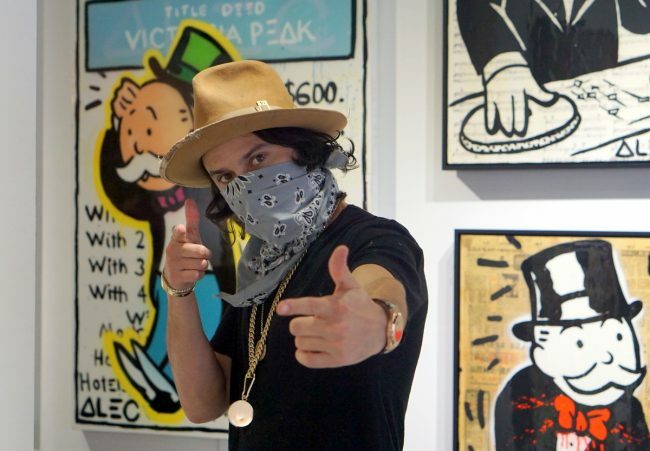 His art has been all over cities including London, New York City, Los Angeles and Miami, where his interpretation of icons such as Twiggy, Bob Dylan, and Michael Jackson can be seen. He has also collaborated with electronic artist Aviici, and is a brand ambassador for Tag Heuer.